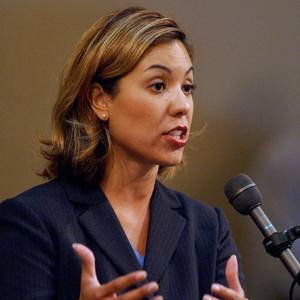 * ... NICOLE IS OUT: So Nicole Parra is out of the race to succeed State Senate bound Michael Rubio on the Kern County Board of Supervisors. "I have lived in Fresno for the past two years, I am president of Parra Consulting, and never considered a move or appointment to the Kern County Board of Supervisors," she wrote in a terse email to me and others. " I was flattered that some community leaders in Kern County did approach me three months ago, but I politely declined. All your staff had to do was check the requirements for the appointment and see I was registered and voted in Fresno County. As far as your coverage of the appointment process in the Bakersfield Californian, it has been compared to 'tabloid material.' It is obvious you, your staff support Wendy Wayne and have tried to discredit my father Pete Parra in the process." Don't you just love local politics? Turns out our staff did its work while Nicole was being coy and evasive about her intentions. I wonder if Nicole, as president of Parra Consulting, advises her clients to be more forthcoming. 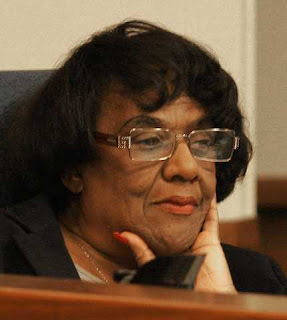 * ... GOODBYE IRMA: One local politician who rarely played games is Irma Carson, who is stepping down from the City Council after a long career. As Gretchen Wenner wrote in a Sunday profile in The Californian, Irma broke many barriers in Bakersfield and can look back proudly on doing a lot for her ward. With Irma, you always knew where she stood, even if you didn't agree. Good luck, Irma. * ... OUR TRASH: Sick of hearing about the trash in our town? Well so am I but Marilyn Wilson offered an ingenious way to dealing with litter. "In traveling to various cities and towns in North Dakota, Iowa, Minnesota, North and South Carolina and Florida, one of the things that I most noticed was how clean their highways, roads and cities were compared to California and particularly Bakersfield. Many people in these states take pride in how their cities and states look as it is a reflection on them who live there. I had read where one of these cities had a program called: Will Work for Pay. Why couldn't the city of Bakersfield establish a program like this where there would be no liability or benefits but would give people an opportunity to earn cash in keeping Bakersfield clean? I could see that it might start with 1) those who are on the street corners asking for donations, 2) people in front of stores and in malls asking for change to get on a bus, 3) people at gas stations asking for money for gas, 4) young people in juvenile hall, those at the Lerdo facility and those in half way houses 5) and people who are living at the Homeless Shelter, Rescue Mission and Salvation Army Mission. These people could earn money, self respect and dignity and at the same time contribute to the community in which they live. I see this as a win - win situation for all who would participate." Nice thought. * ... 1952 QUAKE: Reader Joseph Harper was just 11 years old when the big 1952 earthquake shook Bakersfield, but he remembers it as if it happened yesterday. He was asleep and when the quake hit, "my bed did a jig clear across the room almost to the other side. Then as the house started to settle the second shock hit... When the second shock hit I went up and as I came back down I hit just to the edge of the bed, enough to slip it upside down right on top of me. Talk about a rude awakening!" * ... CRABFEST: Mark January 21 on your calendar for Crabfest, the annual fund raiser for St. Francis Parish School. This year it will return to Harvest Hall at the Kern County Fairgrounds. This is a wonderful fund raiser featuring outstanding crab an all for a good cause. Table sponsorships are available for $1,000. * ... BAKERSFIELDISM: From regular contributor Jack Kelley: You know you're a Bakersfield old-timer if you "remember the rodeos at the old fairgrounds at what is now Sam Lynn Park on North Chester."